HMD Global is all set to unveil its latest flagship smartphone, the Nokia 9 PureView, at an event on February 24th, right before MWC 2019 kicks off. Ahead of the unveiling, we’ve already seen a number of press renders of the upcoming flagship. Just yesterday, the phone was spotted on Android Enterprise’s website, which revealed key details regarding the handset’s specs. 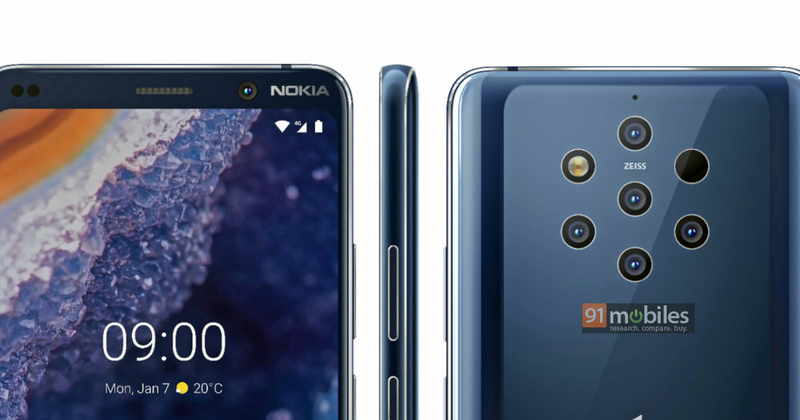 Now, the Nokia 9 PureView has surfaced on the Google Play Console’s website, which has furthermore confirmed some features of the device.